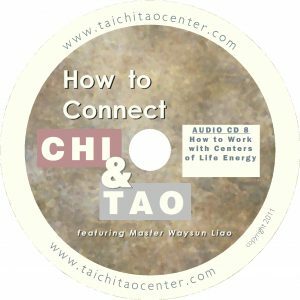 The complete recordings of several interviews between Master Waysun Liao and a noted astro-physicist on the nature of life, Tao and energy. 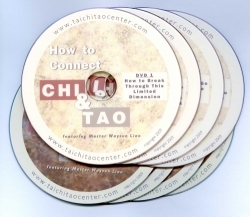 Purchase entire set, or separately. Enjoy this complete set of recordings of several interviews between Master Waysun Liao and a noted astrophysicist on the nature of life, Tao and energy. You’ll receive 9 DVDs and 9 companion audio CDs so that you can enjoy listening to this interview in your car. Online Option: Many of the chapters and discs in this series can be watched or purchased online. 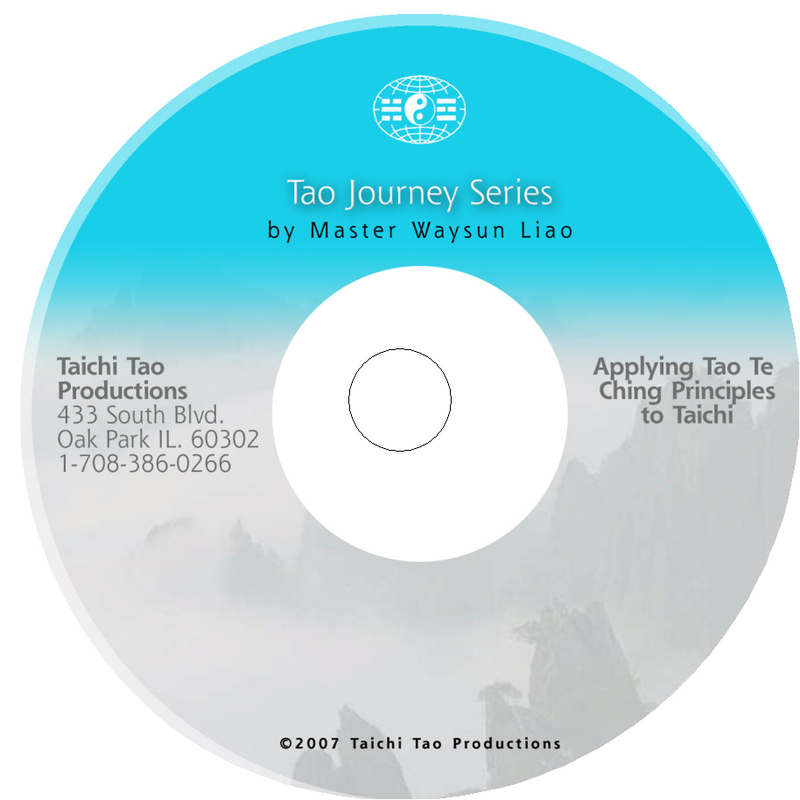 Look for videos marked “INTERVIEW” in our Tao Wisdom category, and choose your favorite topics. Chapters: How does internal work help us connect? ~ This outside world is fiction. ~ Internal work: refocusing our attention. ~ Life energy frequency and flow. ~ Matching your frequency with the Universe. 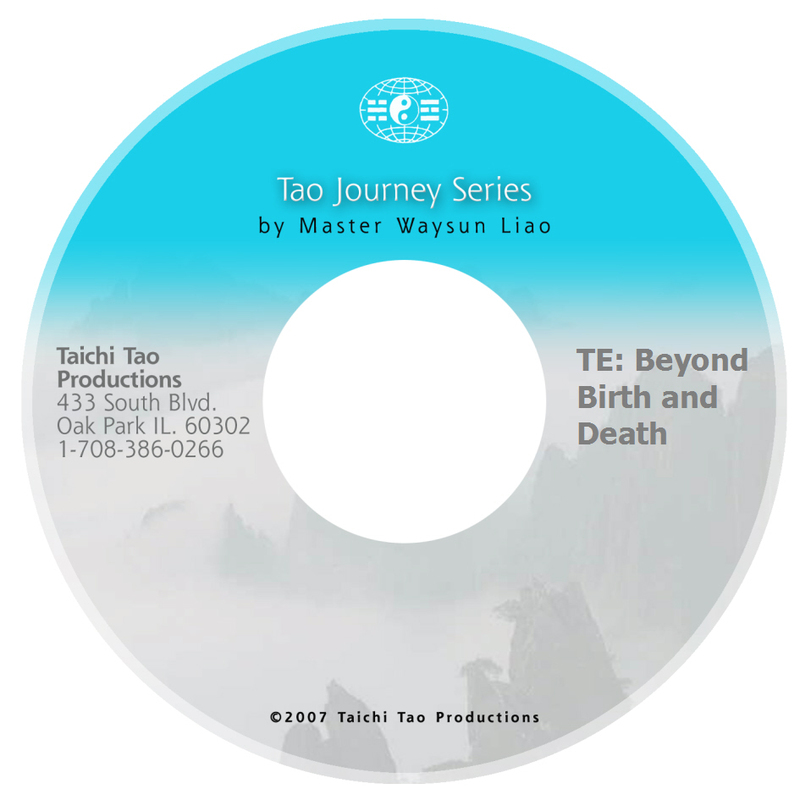 ~ Taoists traveled by energy. ~ We are made from recycled energy. ~ Burning off bad signals. ~ Non-action and no enemies. ~ Purifying to connect to the Net. ~ Answers to Buddha’s questions on suffering. Chapters: Is it necessary to give up family? ~ How do we protect ourselves from negative thoughts? ~ What is the role of Drain form? ~ What is the role of Charge Up form? ~ Does the universe have a purpose? ~ How does death recycle our energy? ~ Does each energy zone have a different character? ~ Can parents plan a child’s energy? Chapters: How can we increase Chi awareness? ~ How to use concentration. ~ Bringing in all sensory perceptions. ~ Concentrating on the center of each palm. ~ Reviewing the steps to Chi awareness. ~ Allow the mind to yield to Original Energy. ~ Why do we emphasize points in Taichi? ~ Our body is built section by section. ~ Connecting to the outside. ~ More about points and sections. ~ Is knowing the locations of all points necessary? ~ How do we extend our energy? ~ Does Roll Back form scoop energy? ~ Do we risk pulling in polluted energy? ~ What is the best way to focus the mind? Chapters: Is there prenatal sentience? ~ We are made of recycled energy. ~ Can we remove polluted energy? ~ Is there a sense of self upon dying? ~ Understanding Mass Tragedies. 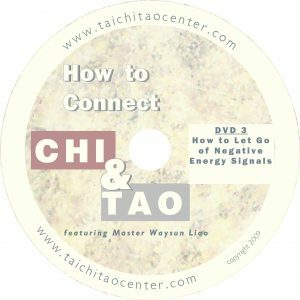 Chapters: How to see, taste and feel life energy ~ Feeling flow vs. feeling life energy. ~ How to know we have connected. ~ Being like a baby and the role of the mind. ~ The relative roles of mind and feeling. ~ Is emotion a pollutant? ~ Are specific energy paths important? ~ Do we need to know the energy path for each form? ~ More on feeling flow vs. feeling life energy. ~ How to is the most sought after information. Chapters: Lower Dan Tian and Te ~ Best Way to Reconnect to Te ~ Middle and Upper Dan Tian ~ Methods of Flowing Energy ~ Can We Scoop Up Energy?